Dr. Wilson grew up in Ashland, VA., the oldest of five siblings. She received her BS in Biology from William & Mary, and her Doctor of Dental Surgery from Virginia Commonwealth University School of Dentistry in Richmond. 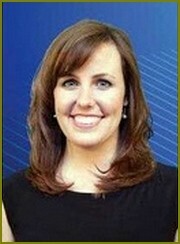 While a dental student, she was selected for membership in Omicron Kappa Upsilon, the national dental honor society. Recognized for her efforts in the Mission of Mercy (MOM) Projects, Dr. Wilson is dedicated to supporting local communities. In her spare time, she enjoys hiking, rock climbing, reading, and photography. Dr. Wilson believes that everyone deserves a smile to be proud of! She is committed to providing excellent care in a comfortable environment, and it is very important to her that every patient feel at home. With her on the team, we are now able to offer more services to our patients that were previously referred out. Dr. Wilson is a member of the American Dental Association, the Academy of General Dentistry, the Virginia Dental Association, the American Association of Women Dentists, and the Piedmont Dental Society. 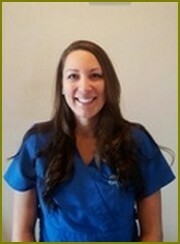 She is very excited to be a part of the Blue Ridge Dental Group team and looks forward to serving the Roanoke and Vinton communities. ​Dr. Neal grew up in Danville, Virginia and moved to Richmond, Virginia to complete undergrad and dental school at Virginia Commonwealth University. 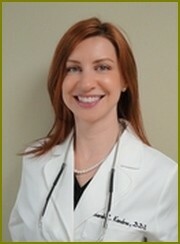 She relocated to Ohio in 2012 to complete a one year general practice residency at Akron City Hospital and has been in private practice since returning to the area. 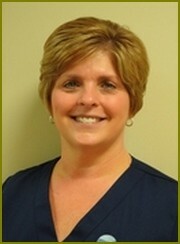 Dr. Neal thoroughly enjoys all aspects of general dentistry, but mostly she looks forward to building relationships. “Roanoke, Virginia has been my home for almost two years now, and I love it here. I enjoy hikes on the Blue Ridge Parkway, taking my dogs Ollie and Bentley to the dog park, cooking, watching Redbox movies, spending time with friends, and my fiancé James, as much as possible. 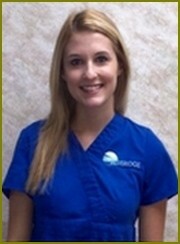 I’m excited to be a part of the Blue Ridge Dental Group and working with my good friend Dr. Wilson. Hi, my name is Pam. I grew up in Roanoke, VA. and studied Dental Assisting at Virginia Western Community College. I have been at this office location for 17 years and work with a wonderful team. We are friendly and care about our patients. I have been married to my husband Doug for 27 years, and we have two daughters. I enjoy spending time with family and friends. ​Hi, my name is Pam. I have worked in the dental field since 1980, graduating from Virginia Western Community College with a major in Dental Hygiene in 1990. I have worked with Dr. Black since 2001. I love my patients!! I have always lived in Roanoke and am married to a great guy, Denton. We have a 3 year old sheltie, “Raya Sunshine" and a 5 year old cat "Scooter". I enjoy reading & scrapbooking, but my favorite past time is camping with my husband and sheltie. Hi, my name is Kaitlyn. I have lived in Roanoke, VA my whole life. I graduated from Virginia Western Community College with my Associate of ​Applied Science in Dental Hygiene in 2014. What I enjoy most about my job is getting to know my patients, making them feel at ease during their appointments, and educating them on how they can better their oral health. When I am not at work, I enjoy being outdoors, cooking, country music concerts, and spending time with my boyfriend, friends and family. ​My name is Selena. I am from Johnson City Tennessee and have lived in Franklin County Virginia for 13 years. 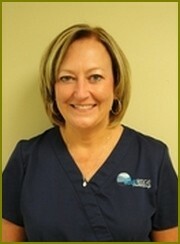 I began working for Blue Ridge Dental Group as a Dental Hygienist upon moving to the area. I am a graduate of East Tennessee State University where I studied dental hygiene. In addition to my studies at ETSU I attended ODU where I received my certification to administer local anesthesia. I have 3 sons and a daughter-in-law who are my life. Family is very important to me. In my spare time, I enjoy scuba diving, hiking, scrapbooking and spending time with my family. ​Hello, my name is Alicia. I grew up and currently live in Botetourt County, Virginia. 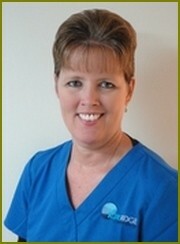 I have been a dental assistant since 2011. 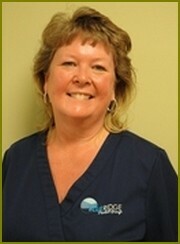 I love working in the dental field and helping others feel more confident in their smiles. I am married to my amazing husband Justin and enjoy floating the river and being in the sunshine in spare time.